Today, more and more seniors and their relatives are going minimalist and choosing – family style living arrangements. According to Carol O’Dell, family conflicts expert at Caring.com, today’s seniors are basing their decision not just on the size of a facility, but rather its atmosphere, including its care providers, food and maintenance staff, and the community itself. Such living arrangements make sense because being in an environment where everything feels familiar can help ease the transition of moving. Also, tightly-knit communities provide residents with better opportunities to meet and make friends with people their age. As a family-owned senior care facility, CareOne strives to provide each resident with a comfortable living environment that is reminiscent of their previous family dwelling. Various studies have proven that taking care of animals has a positive effect on our health. Not only does it give us a sense of purpose, but it also helps us recover from stress, lowers our blood pressure, and makes us feel good overall. It’s not surprising that a growing number of senior care facilities in the country are allowing residents to keep pets or at least give them the opportunity to interact with service animals. According to O’Dell, having an animal companion provides seniors with a sense of comfort, continuity, and security. 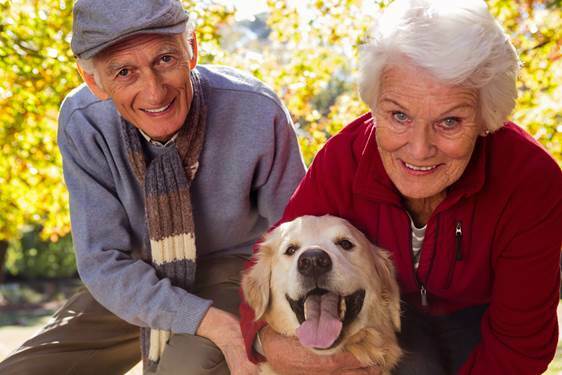 Allowing seniors to be with their beloved pets or giving them access to animals through programs can help improve their health and quality of life. It also puts the minds of family members at ease. By choosing these senior care facilities for their aging relatives, they can rest assured that their parents or grandparents will feel comforted and less alone with animals around. According to the Senior List, today’s seniors are more open to using technology to enhance the quality of their life as compared to their predecessors. This is why many senior care facilities are expected to use technology and the latest equipment to provide for the needs of residents and offer them the assistance they require. Experts predicted that the wearable tech market for seniors would continue to expand in the next few years as more and more facilities are expected to utilize them to monitor the people under their care. As for the technologies expected to grace senior facilities, experts said available devices would include much more than the usual senior-friendly phones, remote controls and displays designed for those with poor vision. For example, virtual realities are artificial environments that are created with software to look extremely realistic, and these realities are usually used to play video games, watch movies, or go on a virtual vacation. Now, virtual realities can be programmed to aid seniors in the rehabilitation process. This revolutionary technology allows physical therapists to walk seniors through interactive exercises in a computer-generated environment. Using virtual reality technology, seniors can improve muscle weakness, balance, and other common health issues, without risking their health or safety. Many senior care facilities today are also equipped with a computer system that allows care providers to monitor the medications and vital signs of residents. Also, advanced mobile support is now available for seniors living independently. Many senior care facilities today are creating more advanced and extensive memory care programs. Some of them are also building specialized neighborhoods and living areas to better provide for the needs of those with Alzheimer’s disease, dementia, and other memory impairments. For instance, therapies that make use of sight, sound and even smell have seen an increase in popularity and usage as research shows that this form of memory care can minimize agitations and anxiety. Researchers have also found that it can even help improve the cognitive function of some senior residents. It is no secret that dealing with someone with memory impairment is often a challenging task. This is why some senior care facilities are also creating programs intended for family members of those with dementia or Alzheimer’s disease to help them better cope with their situation. CareOne’s Harmony Village at Paramus in New Jersey, in particular, offers some resources and support groups to help families understand and encourage their loved ones. Keeping oneself updated with the latest senior living trends can go a long way towards helping families decide which senior care facility is the best for their aging relatives. By knowing the options available to them, it will be easier for family members to ensure the safety, comfort, and happiness of their loved ones.